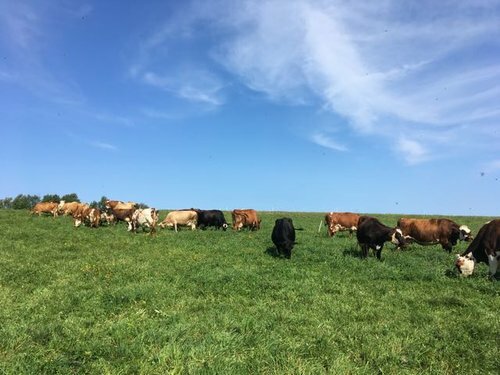 The dairy sector has seen grim statistics in recent years (falling milk prices and lots of farmers selling up and getting out) but here’s a hopeful story from the western part of Massachusetts. 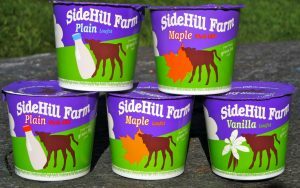 Sidehill Farm milks a herd of 30 cows on regeneratively-farmed pasture and then makes organic yogurt at its own creamery. After several years of trying to juggle the dairy and creamery sides of the business, founders Amy Klippenstein and Paul Lacinski have decided to step back and just focus on expanding the yogurt side. They’ve just put their 225-acre farm up for sale and are hoping to find a buyer who’s looking to get into this very challenging business. The big plus: the sale comes with a guaranteed contract to buy the farm’s milk output, creating an unusual level of financial security for whoever takes on the farm (which is admittedly not cheap at nearly $1.5 million). Fantasizing about farming? Here’s the listing.